1. The Mythological Explanation: According to the so-called “mythological” interpretation, the “us” is said to refer to other gods. This interpretation neither coheres with the theology of Genesis or an inerrantist reading of Scripture. God alone created the heavens and the earth. 2. The Heavenly Court/Angelic Host Explanation: On this view, the plural pronouns refer to a heavenly court of angelic hosts. While it is popular to explain the utilization of the plural pronouns by appealing to created angels, such an interpretation would necessarily mean that humankind was not only created in the image of God, but also other creatures, namely angels. The emphasis in v. 27 itself (i.e., “God created man in his own image, in the image of God he created him…”), rules out the ad hoc appeal to angels. Judging by Moses’ commentary, he clearly believed that humankind was created in God’s image alone, stating in Gen 5:1 that “when God created man, he made him in the likeness of God.” Further, nowhere in Scripture is it said that God created with the cooperation of any creatures. Rather, the Father created through his Son. A case in point is the argument made within the prologue of the epistle to the Hebrews. There, the Son is identified as the one “through” (δια) whom the Father created the world. In that same pericope the writer has given a prosponic application of Psalm 102 wherein the Father says to the Son, “You, Lord, laid the foundation of the earth in the beginning, and the heavens are the work of your hands” (v.10).Therefore, God wasn't speaking to angels, but rather to his Son. 3. The Earth as Addressee Explanation: This view argues that God speaks to something he has recently created, the most likely addressee being the earth. There is nothing within the context of the creation account that affords such an interpretation. Even if, for some reason, one were to countenance this option, it is apparent that it finds no parallel within the Old Testament. The pluralis majestatis appears most frequently in nouns…, but may also be used with some nominalized adjectives…[and] some participles. There are no undisputed examples of a pronoun or a verb displaying the pluralis majestatis… ‘Let us make man in our image’ (Gen 1:26), has occasionally been explained as a pluralis majestatis, but comparative Semitic and contextual factors favor other explanations. The plural of majesty (in effect singular) would not make sense of God’s call for unanimity in the endeavor. Such a meaning on God’s part would have required a singular cohortative voice (singular in the verb even if a plural of majesty were used for the noun/pronoun) rather than a plural cohortative. Even if it were here to be understood as a singular cohortative (difficult as that would be), we then would have the problem of understanding why God was trying to psyche himself up to some great feat. 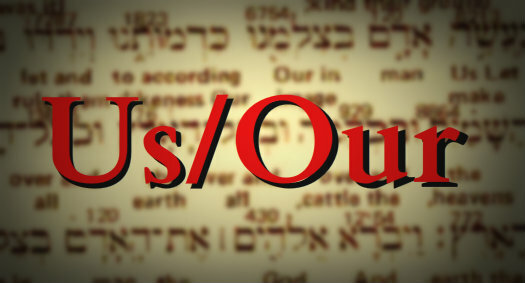 Some have sought to offer examples of the plural of majesty being used with pronouns in the Old Testament. The two typical texts cited are Ezra 4:18 and Daniel 2:36. In Ezra a plural pronoun is utilized, but in Daniel a plural verb used, and both of these occurrences are better explained by a consideration of their respective context. The so-called “royal we” is simply not a feature of the Hebrew Bible, and is instead an invention of the 4th century AD. Given these alternative interpretations, there exists good reason to accept the traditional trinitarian explanation. Wenham, however, objects on that basis that “it is now universally admitted that this was not what the plural meant to the original author.” Consequently, he resorts to two untenable interpretations, arguing that “the choice then appears to lie between interpretations…’us’ = God and Angels or…plural of self-exhortation.” The trouble with Wenham’s appeal to authorial intent is that he fails to adequately observe the prominence of the angel of Yahweh within the Pentateuch. The angel of Yahweh is a persistent presence in Genesis and is both identified as Yahweh/God and as personally distinct from Yahweh. Hence, if one takes into account the mention of the Spirit within the creation account, and the heavy involvement of the divine angel within the books of Moses, there remains little basis for using authorial intent to dismiss the interpretation that is all but explicitly indicated by the New Testament. Although the Old Testament (hereafter, OT) does not explicitly lay out the relationships between the Father and the Son and the Holy Spirit, as John in his Upper Room Discourse does, it nevertheless contains the same doctrine in seminal form. We find the three persons of the Trinity in their distinct relations to one another in the historical books of the OT. For example, Moses’ writings contain numerous references to God sending his Angel to speak, execute justice, and save God’s people. This Angel is distinct from all others, is called Yahweh, and is worshiped by God’s people. Likewise, many of the prophets rather clearly declare that God will send his Angel and his Spirit to accomplish his will, also using the divine name of Yahweh in reference to the one sent by Yahweh to judge and save. The abundance of evidence pointing to the Triunity of God in the OT flies in the face of claims that the OT knows nothing of a personally-plural monotheism. In actuality, the OT hints at this doctrine as early as Genesis 1, where the One True God declares: “Let Us make man in Our image, after Our likeness.” Not only this, but in the next chapter it is revealed that God “formed man out of the dust of the earth,” an anthropomorphism that is followed by an apparent theophany in Gen 3:8, wherein it is revealed that Adam and Eve heard the sound of the Lord God - who is Spirit - walking in the garden of Eden. Many other examples can be gleaned from the OT, but in the following article we will limit our attention to the book of Daniel. It will be demonstrated that upon close examination the book of Daniel reveals the intratrinitarian relationships later articulated in the New Testament (hereafter, NT). 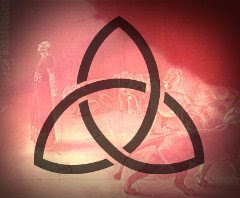 The purpose of this is to establish that the doctrine of the Trinity is not derived from pagan philosophy but the Scriptures. Thus God, once more, saves his covenant people/person by means of his angel.